GOI has accepted following definition of OROP in the letters dated 26 Feb 14 and MOS statement in Rajya Sabha dated 2 Dec 14. 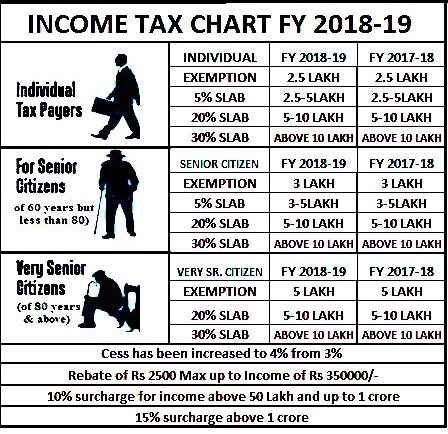 One Rank One Pension (OROP) implies that uniform pension be paid to the Armed Forces Personnel retiring in the same rank with the same length of service irrespective of their date of retirement and any future enhancement in the rates of pension to be automatically passed on to the past pensioners. This implies bridging the gap between the rate of pension of the current pensioners and the past pensioners, and also future enhancements in the rate of pension to be automatically passed on to the past pensioners. However in the Press Release dated 5 Sep 14, a phrase has been added at the end of the OROP definition “at periodic intervals”. One Rank One Pension (OROP) implies that uniform pension be paid to the Armed Forces Personnel retiring in the same rank with the same length of service, irrespective of their date of retirement. Future enhancement in the rates of pension to be automatically passed on to the past pensioners. This implies bridging the gap between the rate of pension of the current pensioners and the past pensioners at periodic intervals. This phrase has probably been added to justify pension equalisation every five years as is being propagated by the MOD. Again, another attempt has been made to change/ distort the definition of OROP in GOI notification dated 7 Nov 15. OROP definition given in 7 Nov letter is reproduced below. One Rank One Pension (OROP) implies that uniform pension be paid to the Defence Forces Personnel retiring in the same rank with the same length of service, regardless of their date of retirement, which implies bridging the gap between the rate of pension of the current pensioners and the past pensioners at periodic intervals. I am sure you would notice subtle progressive change in the language of definition of OROP, wherein the line “This implies bridging the gap between the rate of pension of the current pensioners and the past pensioners, and also future enhancements in the rate of pension to be automatically passed on to the past pensioner” has been changed with the line “This implies bridging the gap between the rate of pension of the current pensioners and the past pensioners at periodic intervals”. It further states as one of the salient features that it has been decided that the gap between rate of pension of current pensioners and past pensioners would be refixed every five years. This completely changes the definition of OROP and if implemented in its changed form, it will deprive past pensioners of monetary benefits and will completely destroy the definition of OROP and in turn, destroy the very soul of OROP. UFESM (JM) believes that this change in the definition in OROP has been inserted only to justify pension equalisation every five years. Pension equalisation every five years is against the definition of OROP and is a matter of serious concern for all Ex-servicemen. The correct and acceptable situation is that pension equalisation must be done as soon as pension of two soldiers with same rank and same length of service is noticed to be different and it must be equalised immediately. Ex-servicemen are ready to accept pension equalisation every year only to make administration of this concept easily implementable. Incidentally, any computation can be easily achieved on press of a button in today’s computer era – and this needs no emphasis. However the matter did not end at one instance of change of definition of OROP, it has been once again repeated in GOI letter dated 14 Dec 15 “OROP implies that uniform pension be paid to the Defence Forces Personnel retiring in the same rank with the same length of service, regardless of their date of retirement, which implies that bridging the gap between the rate of pension of current and past pensioners at periodic intervals”. The GOI letter dated 14 Dec 15 is the notification for the formation of one-man judicial committee. It is a matter of great importance that if incorrect definition is given to the Chairman of anomalies committee, he is bound to work within the constraints given by MOD and will thus give his recommendations as per incorrect definition given to him. This will be gross injustice to ex-servicemen. Ex-servicemen might be justified to think that these changes are a planned move for the vexed problem of OROP in view of the past experiences in which meanings of Honorable Supreme Court orders were changed by making subtle changes in the decision of HSC. We sincerely hope that these changes are probably only clerical errors and not a planned direction change. We therefore sincerely request you to correct these mistakes in definition of OROP and give following definition approved by Parliament to all committees. We will be thankful to get a suitable reply from you at the earliest. Grant of Ex-servicemen status to recruits boarded out on Medical grounds with disability pension. Is Legal heir and Nominee the same? The Veterans Cell was raised in April, 2013 as a single window for the redressal of veterans’ issues. Its role and charter has expanded to include matters beyond pension and welfare. It has been set up as a single window organization for managing all activities related to award of pension, resolution of legal and medical/ECHS issues for officers and sailors. Copyright © 2012 Indian Military Veterans.